Many of you reading this post are much smarter than I am. Without a doubt, you are certainly more computer savvy than I am. For example: How many of you knew that pressing the control (Ctrl) key and the "Z" key at the same time was the "Undo" edit button? While I've become quite proficient with the "Ctrl + C" for copying text and "Ctrl + V" for pasting information, and even the "Ctrl + X" for the cutting function, I've just recently learned the benefit of the "Undo" feature. Several times in the last month I've accidentally deleted entire paragraphs, posts, documents, comments, edits, emails etc., and many times I've been able to restore my work by simply hitting the "Ctrl + Z." If you could have only seen my happy face as I realized that I wasn't going to have to reproduce my entire work. Lucky Me! What a time saver. The "Undo" feature has never saved me from really big and stupid mistakes like -When my entire computer locks up or shuts down before I've saved my documents but clearly, this function has saved me some time and restored me to my natural state of zen. But I digress, I didn't really mean this as a lesson in "keyboard-ology" but I use this analogy to ask you all if there have been times in your life that you wish you could have just hit the "Undo" button and gone back to where you were before? Just last month while in Kauai, I snorkeled out to this small island reef area about 100 yards off shore. When I got there, I was pretty proud of myself and was standing around enjoying the view and that's when I noticed my error. I realized that I had the keys to the rental car in my wet swimming trunks. Oh no I thought! 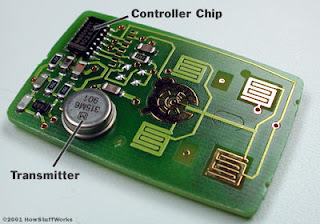 Salt water does crazy things to electronics. I knew that. It probably would have been okay to put them back in my pocket and swim back to shore but I couldn't help but think - How am I going to get these keys back without doing more damage? I thought of everything. I tried to stuff the keys inside my mask and swim back but they wouldn't fit. I considered throwing the keys as far as I could toward land but I doubted my ability to reach the sandy shore. I looked around for plastic, or anything I could use to help me. No luck. Ultimately, I decided to swim back holding the keys above the water. Boy was I tired. And I'm sure I looked pretty silly too. I made it back, the keys dried out and the remote function still worked. And I happily didn't have to pay the rental car company money for a new FOB. So my point is this.... Wouldn't it have been great to hit the "Cntrl + Z" keys and go back to just before my stupid mistake? I think so. On a different note, today I watched the Stock Market (The Dow dropped 777 points) run through some more crazy gyrations and I watched members of Congress (The House) look amateurish and juvenile, I looked all over for the "Undo" button. I just couldn't find one. I wanted to reset the day and start it over but to no avail. I wanted to send all the members of the House back to their room and make them vote again! As much as I realize that this is a complicated and difficult process, I just didn't feel any better when I listened to the respective reasons why they couldn't reach an agreement. I reluctantly watched the "Blame Game" which followed. The Republicans blamed the Democrats and Nancy Pelosi for making a partisan speech and the Democrats blamed the Republicans for not supporting a plan endorsed by George Bush. Give me a break....... Undo. Undo. Undo. Undo.... Where is that button? Rep. Barney Frank, a Massachusetts Democrat who was a key negotiator of the bill, said Republican leaders were blaming Pelosi because they were embarrassed that they failed to get a majority of the Republicans to vote for the bill. Can they at least make me feel better and tell me it wasn't a good "bail-out plan" and that's why it wasn't approved? Undo... Undooooo Please! Fortunately, I'm unusually optimistic. I'm confident that some sort of plan will emerge this week. The market will recover slightly and hopefully we can find a way to reach a compromise on the issues surrounding this crisis. We're not going to be out of the woods for a while but we need to start looking for the trail before it gets too dark to see. I'm hoping for a better plan and more universal support. Personally, I'm growing weary of the gaming that's going on at our expense. Isn't it about time to start doing things because they are right and not because they are political? Since we can't undo this mess it's time for the members of Congress to do their share of the swimming with the keys out of the water and come up with and approve a viable plan. I hope they are up for it. I'm also growing weary of this political struggle. Feel free to send me some personal stories about times you wish you had an "Undo" button. That would be nice. - and twist in a bit of Jeremy Irons? If you were hoping for a tempestuous and rowdy shoot em up western you might want to rethink your motivation. For a movie that seemed to be about two ruthless gunfighters struggling for control of the town of Appaloosa, I somehow found myself crossed. Somewhere in the interchange, this movie turned out to be just as much about love triangles as it was about good guys and bad guys shooting it out. Don't get me wrong, it has a few classic gun scenes where the heroes shoot it out with the villains, but those were balanced by the warm sentimental romantic moments. But that's okay with me, I can be a sentimental guy. I suppose I should have expected it given these actors. Ed Harris and Viggo Mortensen play characteric roles in Appaloosa and are well matched and equally paced in their acting rhythm. They also have an insidious romantic appeal. Eastern Promises, Pollock, Crimson Tide, and The Rock were all movies which starred either Harris or Mortensen and I contend that before the movie was over you liked them for some other intangible reason and not their ability to quick draw or kill bad guys in the movie. In these movies they were consistently smooth and more cerebral. Most of these movies are reflective of their low-keyed, cool and calm demeanor. Harris gets a bit animated in The Rock but mostly, he plays a very calculating and credible character. And that's how he plays it in Appaloosa. Viggo, well he's just Viggo! The bottom line - I'd rate this movie a "B" - Definitely worth the time and money for me to see it. Purely for its' entertainment value alone. If you enjoy the wide vistas and classic western scenery, it may be better for you to catch on the big screen. Otherwise, you can wait for the DVD to come out and catch it at home with some home-made popcorn and a cold beer. By the way, another movie with a similar name but a different story is The Appaloosa, starring Marlon Brando. This story kind of centers around a horse which is an Appaloosa. If you're bored and you like Brando, pick it up. I'm sure you'll enjoy it. And if you're looking for another movie starring both Harris and Mortensen, try - A history of Violence which was released in 2005.
but Obama wins with a pair of 4's! That's the way I saw it. After 90 minutes of debate, there were no real knock - out punches. And nothing really glamorous. McCain consistently reminded the audience that "Senator Obama doesn't understand." And Obama got even by reminding everyone several times that McCain is tied at the hip to the Bush administration. They sparred a bit over the economy, Iraq, and Iran - And disagreed on an interpretation of Kissinger's view on meeting with heads of rogue nations - but each punched and counter-punched well. I must admit that McCain did better than I expected him to. While he appeared to be a bit patronizing and disrespectful at times, he managed to tough it out and blow his own horn on several occasions. All this was accomplished with no senior moments or loss of temper. Obama, who was playing into McCain's strength in foreign policy, clearly showed up prepared. He appeared quite sharp, and presidential but he was not able to deliver the punishing blows to get McCain on the ropes. Obama gets credit for throwing a "Sugar Ray Leonard" style flurry - but there was very little damage. Perhaps a strong sound bite for tomorrow's news but that's about it. The consensus (from the experts and media) seems to be that Obama won the debate. I suspect many voters were left unchanged. In other words, if they walked in tonight supporting Obama, they probably walked out still supporting him and the same for McCain supporters. On a different note, Senator Joe Biden made an appearance and delivered a great post debate commentary. On the other hand, Sarah Palin was conspicuously absent! Next week will be their turn! I hope they can offer up something a bit juicier! John McCain - Courageous or Dumb? Deal or No Deal? Bailout or No Bailout? Debate or No Debate? Courageous or Dumb? Last night kicked off the new season of Survivor Gabon. So far, one allegedly weaker contestant Gillian Larson and one so called "Toxic" contestant, Michelle Chase, have been issued their walking papers. The timing of the season opener and the political events of the day were an uncanny reminder of my post about Erik Reichenbach titled Courageous or Dumb? during the last Survivor series. I am very curious how/if this statement might apply to today's politics and John McCain's recent decision to suspend his campaign. From where I sit in my comfortable chair it's easy to observe the poker game going on between presidential candidates John McCain and Barack Obama. I watched as John McCain, faced with declining polls and a strengthening opponent looked at his cards and determined he had a very weak hand. I feel he opted to bluff his way through this round and try to draw for the inside straight. Most poker players know that's a long shot. By suspending his presidential campaign and offering to delay the debate, McCain, who has admitted he is weak in the Economy department, hoped to signal to the public that he is being responsible and demonstrating sound leadership ability. He contended that the bail-out plan, and the "Broken Economy", are more important than the debate and they should be addressed immediately. Furthermore, he maintained that it is imperative that he and Obama put aside their differences, at least for now, and evoke some bipartisan spirit and fix this crisis. Was this a bluff gone bad? Was this an attempt by McCain to buy himself more time and perhaps wait for voter sentiment to change? Was he hoping to capitalize on an economic bail-out plan that seemed to be headed for a slam dunk? Was he attempting to give himself more time to prepare for this critical debate? Or is he just an arrogant presidential candidate who wants his piece of the pie? The objective evidence is that things got worse, not better, in Washington after McCain arrived. There was a tentative deal, announced by congressional leaders, when McCain landed in Washington. Hours later, there was chaos and recriminations. In all fairness to McCain, the initial proposal for a bail out was loaded with flaws. In addition, it was supported by a Lame Duck President - George W. Bush, who is perceived to have a history of misleading the public and supporting big business at the expense of the "little guy." The constituents are demanding representation and accountability from their representatives. This is a very complex problem with an unclear solution. The legislators want to put forth a solution but the idea of corporate executives stuffing their pockets with large amounts of cash as they walk away from failing companies is hard to swallow. Furthermore, the dichotomy of bailing out the "big guy" while the "little folks" are facing foreclosure looms and would be difficult to digest. It's quite possible that more representatives vocalized their opposition to the plan as the time passed and this was irrespective of McCain's presence. It's also possible that there was some misunderstanding on which plan McCain was referring to when he said he was not familiar with and had not read the plan. From a different perspective and the other side of the table, I also watched as Barack Obama eyed his cards and looked down at a pair of fours. Not a particularly strong hand but better than McCains. His hand may have appeared stronger given his rising favor in the polls and Sarah Palin's less than stellar interview with Katie Couric (follow this link for the interview). His hand was possibly tainted by his, and Joe Biden's vote on the "bridge to nowhere" but certainly the stronger hand so far. Barack Obama took the opportunity to remind the voting public that the President of the United States may be required to perform several important tasks at once and make McCain appear less than capable for suggesting a time out or truce while they worked on the bail out. Well as of this moment.... The shoot out is ON! McCain and Obama will face off tonight with loaded guns in their first Presidential Debate. They are collecting their final cards for the day and starting to wager. McCain is all in and Obama has just shoved a large stack of chips to the middle of the table. We will soon find out if John McCain will draw to his inside straight? Will he prove to be Courageous? Or Dumb? Will Barack Obama trump him by calling his bluff and beating him with a meager pair of fours? Or will Obama wipe the stage with McCain and throw down 3 or 4 of a kind? Maybe even a Full House! Hard to say right now but I'll be watching the debate tonight! Tune in to see who held the best poker hand. What a week! And if nothing else, these are exciting times. Got an idea that could change the world, or at least help a lot of people? Google wants to hear from you -- and they'll pay as much as $10 million to make your idea a reality. It seems the folks at Google are being intentionally vague about some of the details of the contest. I guess they don't want to thwart creativity. I can understand that. "If your idea were to become a reality, who would benefit the most and how?" Google employees, with the help of an advisory board, will narrow the submissions to 100 semifinalists by January 27. Between January 27 and February 2, the public will vote online for their favorite ideas. A panel of as-yet-unnamed judges will then review the top 20 ideas and announce up to five winners in mid-February. So get on board. Get your thinking "cappies" on let's come up with some courageously daunting and Intrepid Ideas! I couldn't resist this one: Courageous Acts must be noted! I'm a Yankee for sure! Perhaps that goes without saying - But one of the tenets of my site is to recognize bravery and courage when I can. So for all those southern boys and their "Rebel Yells." I acknowledge your courage and bravery! And Monday morning - I'll be screaming MORE! MORE! MORE! 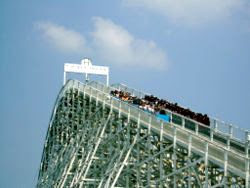 When I was a kid, I rode on what was touted as the biggest, baddest, fastest, scariest roller coaster of the time - The Rebel Yell - at the Kings Dominion theme park in Doswell, Virginia. What a thrill..... I remember racing off the the ride and running to get back in line to ride it over and over again. Yes, I found the speed and the sheer terror of the seemingly endless drop purely exhilarating. The twisting and turning just added to my excitement. It didn't matter if I had a stomach full of Carmel candy, M & M's, and soda, I just powered through the day from arrival time to departure time. Never thinking about the chance of getting sick to my stomach. The summer heat and humidity - merely a minor inconvenience. It was all about the adrenalin rush. The possibility of injury or death never entered my head. It was just fun. Those were great years. It was all the rage! My friends and I stood around and discussed theme parks and described the adventures in great detail; second by second as others looked on. And when the season ended and the parks closed, we thirsted for summertime so that we could do it all again. Those were the days! This week I lived the antithesis of those good old days. I rode the mother of all financial roller coasters without as much as a seat belt. Each twist slammed my head into the side rail leaving me bloodied. The reverse turn leaving me choking and gagging in my own serum. The upside downs and ins and outs making me scream and cry like a child. When the ride was over I didn't race to the line but stood still and vomited on my shoes! I crawled to sit down on a lonely bench and clung to it praying for my headache to cease. I watched the experts - baffled, discombobulated, stupefied staring at the stars looking for answers. Every analyst offering a simplified answer to this very fragile yet erratic market. I listened to Presidential candidate John McCain praise the strength of our economy - blunder - recount - and then blunder again! Instilling confidence ------ I witnessed our national infrastructure stuff billions of dollars into the leaky holes in the dyke. I played two rounds of golf, enjoyed a lovely dinner with some friends, watched some classic westerns and longed for the careless days of my youth and the thrill of the Rebel Yell! Cause that's how I roll! While I was away goofing off, Tamera over at Simplifying Life and Love was generous enough to send this lovely award my way. Now I usually don't get all yackity (is that a word?) and stuff when someone gives me something but this indeed is an honor. To be recognized by Tamera says a lot and means a lot. Be sure to pop by her site to witness her genius on relationships and other subjects. She's also giving Hurricane Ike a run for his money so check that out too. Meanwhile, I will be basking in my glory for a few days and passing on the tribute! 4. Award-winner and the one who has given the prize have to show the link of “Arte y Pico” blog, so everyone will know the origin of this award. http://arteypico.blogspot.com/ (Ah, a little link love). So here goes....... Naturally, there are so many Blogs out there deserving recognition for their creativity and material. There's no way in the world that I can recognize all the sites that have inspired me. I also understand that this award comes with an obligation to pass it on. If you elect not to participate for whatever reason, I completely understand. Know that you are appreciated all the same. The first on my list, and these blogs are in no particular order, is BellyDance Girl. I can't say enough about my true Blog Buddy. She entered into the blog community with a site to chronicle her experiences with Belly Dancing but that proved too limiting. So now in addition to her dancing she's the latest and hottest VLOG sensation. Furthermore, she has started a new blog: A Bride on A Budget to show her skills. Did I mention she's engaged? Sorry. I know hearts are breaking. Good Luck with your future endeavors BDG and enjoy the much deserved award. Next on my list is the zany and nutty but oh so talented SpeedCat Hollydale. Now he needs another award like he needs another crazy joke on his site. But I must recognize him for his comedic insanity. I'll warn you, his site can be addictive. And you may laugh so hard that you hurt yourself. I find myself going there regularly just to see what madness he's conjured up. The third blog on my list is written by the lovely and talented Heather Dugan at Footsteps. Not only can she write, but she shoots a great camera as well. So at her site you get great photography, wonderful reading material, and to top it all off..... you can hit the play button and listen to her priceless voice. That's right she'll lay down a great audio track for you to listen to while you read along. Truly magnificent. Next on my list is Micki's Morsels. I've just recently discovered this site but as each day passes I find it more and more scrumptious. I don't want to ruin the surprise so click on over there and see what you think. I'll give you a hint.... You'll find loads of dishes, and recipes with photos that this mother of eight has prepared. How does she find the time? That's the creative part. Hit her site and learn how she does it. Number five on the list is Jane Turley wait a second. I can't give it to her. She's a co-recipient along with me. So I guess I'll have to send over to Dr. Steven J. Balassi at Worldly Economic Thoughts..... Anyone who can put rhyme or reason into this roller coaster ride of economic blunders must be a creative genius. Pop over to his site for an understanding of all of this stuff. Well that's it for this post. There are certainly others blogs deserving of this award. Your time will come. Trust me! And brought him strings and sealing wax and other fancy stuff. I'm not sure what they had in mind but I'm told that the fictitious land of "honah lee" was actually the town of Hanalei, Kauai - known at one time for it's significant hippie population and affinity for "Weed." So regardless of your interpretation of the song and lyrics, I hope you can enjoy the sheer beauty of the valley. It's a lovely place. The village is also quaint and warm. And for those of you who spent too much of your youth smoking "uhmmmm" ..... I'm also leaving you with some Peter, Paul and Mary so that you can reminisce and long for those careless and reckless days! I hated to leave Kauai, but like most people, I had bills to pay and work to do so I packed up and left the island paradise and traveled back to the hustle and bustle of mainland living. And yes, that was the first thing I noticed on my return..... The bustle! After spending over two weeks on Kauai, where I was romanced and seduced by the gentle trade winds and sounds of the ocean, I found it overwhelming to return to people, pollution, traffic, and man-made noise. The buzz of civilization was everywhere and evident as I drove home from the airport. But on a softer brighter note, I took with me great memories and a little more history of the island and culture. I was reminded that Kauai is the oldest of the main Hawaiian islands. It's also the fourth largest in the chain. 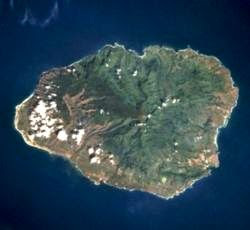 A point near the center of the island is often purported as being the wettest, or one of the wettest, spots on the globe. I guess it depends on whether you are comparing number of days of rain or quantity of water per period. Additionally, the island of Kauai has been featured in more than 70 Hollywood movies and television shows including, South Pacific, Disney's 2002 series Lilo & Stitch, Jurassic Park, Raiders of the Lost Ark, Six Days Seven Nights, the remake of King Kong, Blue Hawaii, and John Ford's 1963 film Donovan's Reef to name a few. On a side note, I was lucky enough to spend some time on Steven Case's private property (over 17,000 acres). But that's another story.... Stay tuned! favorite places - Waimea Canyon. If you look closely, you can see a waterfall in the middle left of the above photo. The Sun Setting near the Beach House Restaurant. A great place to have dinner or cocktails and watch the sun set. Be sure to make your reservations early. They book up quickly. Lava rocks, trade winds, fresh air, waves and sand..... True compliments to the Aloha Spirit!